Summer is the perfect time to enjoy berry tarts and galettes when berries are flooding the farmers’ markets. If you can’t find the mulberries, use what you have for this recipe. Let the berries you find in the market or in your garden determine what you will bake tonight. Mulberry is available from end-May to mid-June. Along stander, firm berry with long juice sacs and shiny black color. Immature fruits are white, green, or pale yellow. Well-balanced flavor, a good all-purpose berry, wonderful for pies, tarts, wines, tea, cobblers, and jams, that freezes beautifully. 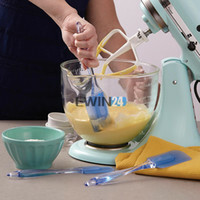 To make the pastry: In a small bowl, whisk together the egg yolk and water, set aside. Place the flours, potato starch, sugar, and salt in the bowl of a food processor fitted with a steel blade. Pulse a few times to combine. Add the butter and pulse until the mixture resembles a coarse meal. Sprinkle on the egg mixture and pulse until the dough just barely comes together. Turn the dough out onto a board, roll it into a ball, and form into a disk. Wrap the disk in plastic and refrigerate until chilled, about 30-45 minutes. To make the berry filling: Toss together the berries, sugar, vanilla bean seeds, and lemon zest in a medium bowl. Set aside while the dough chills. Preheat the oven to 425 F. Line a baking sheet with parchment paper. Roll the pastry into a 12-inch circle on a lightly floured surface. Transfer it to the baking sheet. Place the mixed berries on the dough circle, leaving a 1 1/2-inch border. Fold the edge of the dough up and over the berries. Chill the galette in the refrigerator for 15 minutes. Bake the berry galette for 30-35 minutes, until the crust is golden and the filling is bubbling. Let the galette cool for 10-15 minutes. Dust with powdered sugar then cut into wedges and serve warm or at room temperature. I wish I could find mulberries here… a lovely galette! It's a gorgeous galette.. very artisinal and rustic..Just love. That looks spectacular, would love to give this a try! Feel free to stop by my link party and share your Facebook Page! What a beautiful tart and gorgeous photos of summer berries! Which reminds me I have lots of blueberries in my refrigerator that I need to use! Wow – this galette looks so drool worthy! Nice clicks to Yelena!